Back in May 2018, I wrote an analysis of a new HPV vaccine systematic review that clearly showed that not only was the HPV vaccine very safe, but it was also effective in significantly reducing the risks of cervical cancer. This was powerful and robust evidence that the HPV vaccine is one of the best tools in reducing HPV-related cancers. And that the vaccine is extremely safe, possibly the safest of all the very safe vaccines on the market. For those who aren’t science nerds like me, you should know systematic reviews are at the pinnacle of the hierarchy of biomedical research. These type of reviews are one of the foundations of science-based medicine (SBM). The idea of SBM is …to answer the question “what works?” we must give more importance to our cumulative scientific knowledge from all relevant disciplines. Now I’ve said that systematic reviews are not perfect. For example, the Cochrane Database is considered one of the premier organizations that perform systematic and meta-reviews in the biomedical sciences. If I am looking to determine if there is evidence supporting a medical claim, I look there first. As a scientist, I don’t take their conclusions at face value – for example, they have made egregious errors in systematic reviews of acupuncture quackery in the past. Like all scientific literature, one must examine a systematic review (whether published in Cochrane or any other journal) with a critical eye. Is there bias in including or excluding data? Do they overstate the conclusion? Do they rely upon unusual or bad statistical analyses? Recently, one Cochrane group has attacked the aforementioned HPV vaccine systematic review, written by another Cochrane group. Time to take a look at that. The first HPV vaccine systematic review, by Marc Arbyn et al. and published in the Cochrane Database of Systematic Reviews, examined 26 different clinical studies with over 73,000 participants. The researchers searched several databases of clinical trials to find randomized clinical trials that compared safety and efficacy in females offered HPV vaccines with a placebo group (that usually included vaccine adjuvants). To cut to the chase, the researchers found that the HPV vaccine reduced the risk of these cervical pre-cancerous lesions, which are associated with HPV16 or HPV 18, from 341 to 157 for every 10,000 women. HPV vaccination also reduced the risk of any pre-cancerous lesion from 559 to 391 per 10,000 in this group. Essentially, the researchers found significant reductions in the incidence of cervical intraepithelial neoplasia (which can be a precursor of cervical cancer). In addition, they found no safety signals of adverse events. In other words, this was a perfectly fine HPV vaccine systematic review that showed that the HPV vaccines were both very safe and very effective. The second part of this battle of Cochranes comes from Cochrane Nordic, a branch of the Cochrane Collaboration. They published a paper in BMJ Evidence Based Medicine that blasted the Arbyn et al. article. You’d think that two branches of Cochrane were at war with each other. Their major points were that they ignored a Gardasil9 trial, they ignored funding sources, and they didn’t include enough randomized, double-blind trials. We’ll get to a point by point takedown of their anti-HPV vaccine bias, but let’s take a look the authors and Cochrane Nordic. First, the latter paper was co-authored by Thomas Jefferson. Other than the name of one of the first Presidents of the United States, many of you may not know much about Jefferson. I have mostly ignored him because he’s such a biased anti-vaccine zealot, it’s hard to take anything he writes with any level of scientific seriousness. In an article in ScienceBasedMedicine, Marc Crislip makes quick work of the anti-vaccine rants of Jefferson. Much of Jefferson’s nonsense is about the flu vaccine, which is decidedly unscientific and, ironically, filled with extreme bias. He generally takes the narrow perspective on the efficacy of the flu vaccine, that of preventing a case of influenza in an exposed individual and argues that the clinical trials that demonstrate efficacy are too flawed to make recommendations. …suggests a conspiracy theorist who has a narrow viewpoint and ignores or misstates his own studies and the studies of others and prefers a simple message to the complexity of influenza and its many complications. What comes across in his interview, and in his written, and presumably carefully considered oeuvre, is buckets of anti-influenza vaccine bias; someone who has an opinion first which he defends with the narrowest of data second. If you want unbiased and thoughtful discussions of vaccines, you won’t find that with Thomas Jefferson. Furthermore, Cochrane Nordic is the center of anti-vaccine bias, especially against the HPV vaccine. 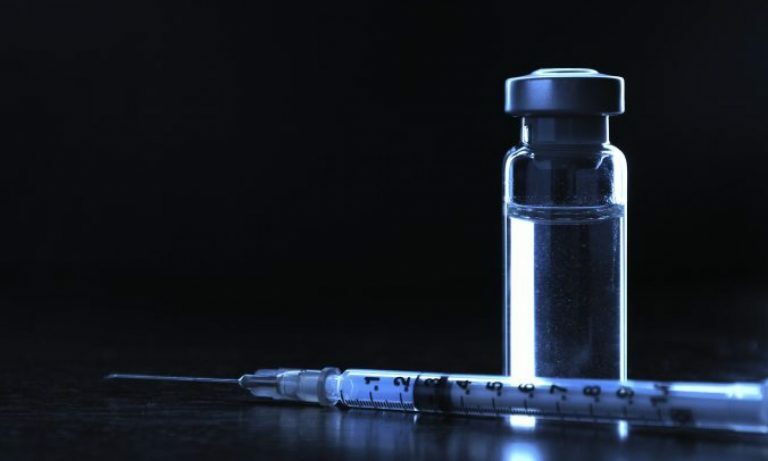 They have filed several complaints with the European Medicines Agency, essentially the FDA for the European Union, about safety issues with the HPV vaccine. They have focused on postural orthostatic tachycardia syndrome (POTS) based on a series of case reports, which rank near the bottom of the hierarchy of biomedical research. They also have tried to claim a link between the HPV vaccine and complex regional pain syndrome (CPRS). Both POTS and CPRS are difficult to diagnose, and they are both relatively common in the target group of the HPV vaccine – teens. Moreover, a link lacks any biological plausibility. The European Medicines Agency’s Pharmacovigilance Risk Assessment Committee (PRAC) has completed a detailed scientific review of the evidence surrounding reports of two syndromes, complex regional pain syndrome (CRPS) and postural orthostatic tachycardia syndrome (POTS) in young women given human papillomavirus (HPV) vaccines. These vaccines are given to protect them from cervical cancer and other HPV-related cancers and pre-cancerous conditions. In other words, the European Medicines Agency firmly rejected the anti-vaccine complaints about the HPV vaccine because they were unfounded and unsupported by all of the scientific evidence. There is currently no conclusive evidence to support a causal relationship between the HPV vaccine and POTS. It is of utmost importance to recognize that although temporal associations may be observed, conclusions of causality cannot be drawn from case reports and case series due to the small sample size and lack of control population inherent to this type of scientific literature. If POTS does develop after receiving the HPV vaccine, it would appear to do so in a small subset of individuals and would be difficult to distinguish from the normal prevalence and incidence of the disorder. They keep talking about placebos. As I wrote before, although placebos can be used in some vaccine clinical trials, it is highly unethical to do trials that potentially place the placebo group in harm’s way of a potentially dangerous and deadly disease. They criticize the HPV vaccine systematic review for ignoring the “studies” mentioned above which the European Medicines Agency rejected. In other words, the systematic review did not include the case studies, probably because they are generally biased studies that lack controls. Those types of studies are almost always excluded from systematic reviews. They go on and on about POTS and CPRS. See above. I’m not going to hold my breath and presume that the anti-vaccine religion will ignore this whining article from an anti-vaccine thought center. Their complaints about the HPV vaccine systematic review are without merit. At this time, the original HPV vaccine systematic review, by Arbyn et al., stands as quality research that shows the safety of the HPV vaccine. Moreover, it provides us with solid evidence that it actually prevents cervical cancer. Cochrane Nordic has provided us with no robust evidence that the original systematic review is wrong in its analysis or conclusions. In other words, there’s nothing to see there. Butts BN, Fischer PR, Mack KJ. Human Papillomavirus Vaccine and Postural Orthostatic Tachycardia Syndrome: A Review of Current Literature. J Child Neurol. 2017 Oct;32(11):956-965. doi: 10.1177/0883073817718731. Epub 2017 Jul 10. Review. PubMed PMID: 28689455.